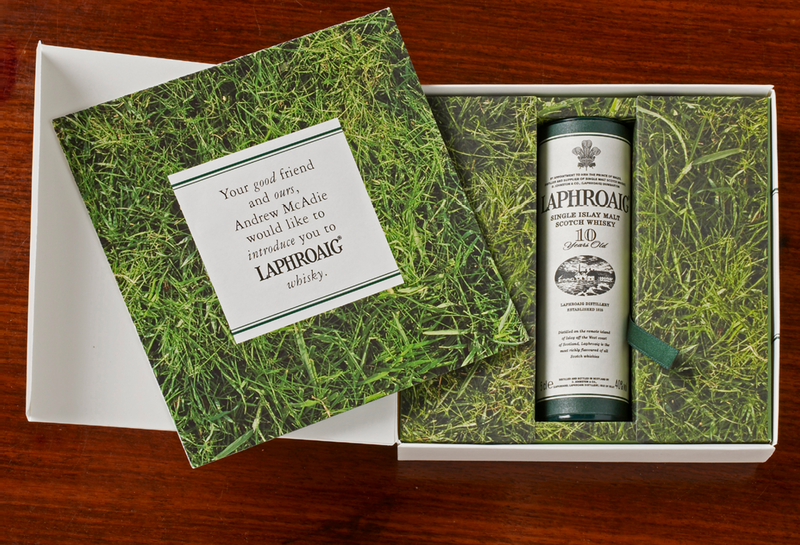 Existing UK members were offered the chance to send a free miniature to a friend. 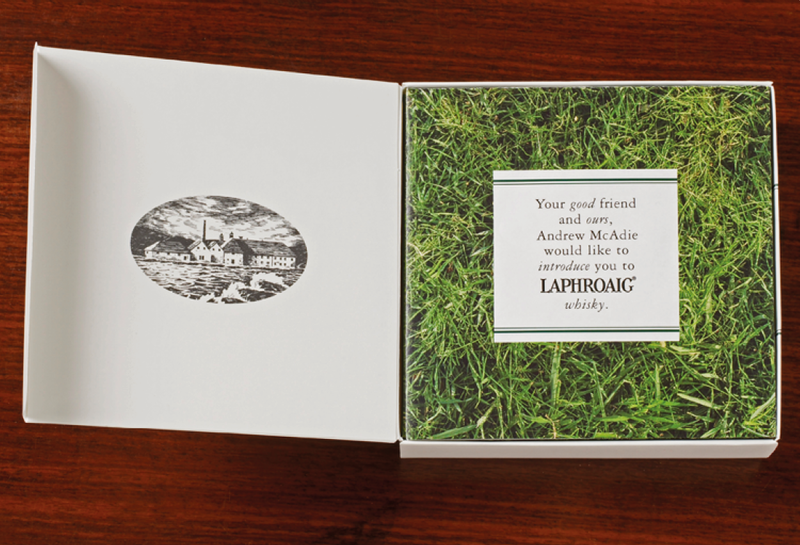 The pack contained the miniature and a leaflet which folds out to exactly one square foot. 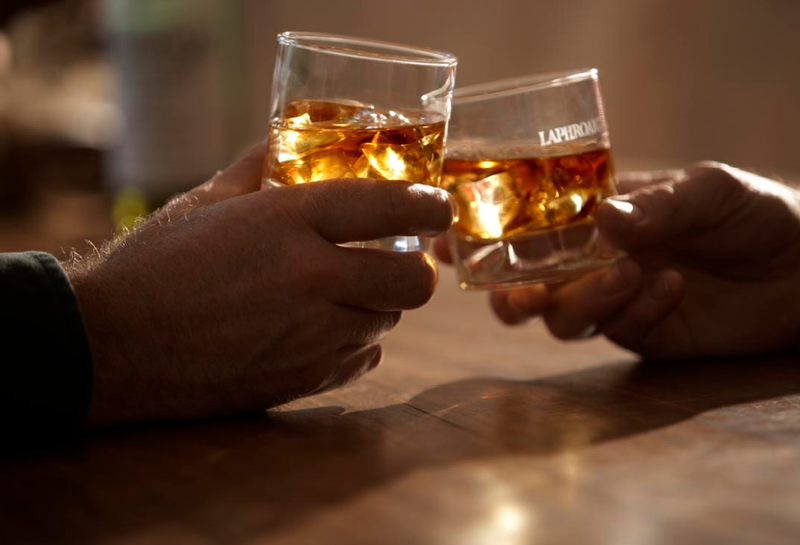 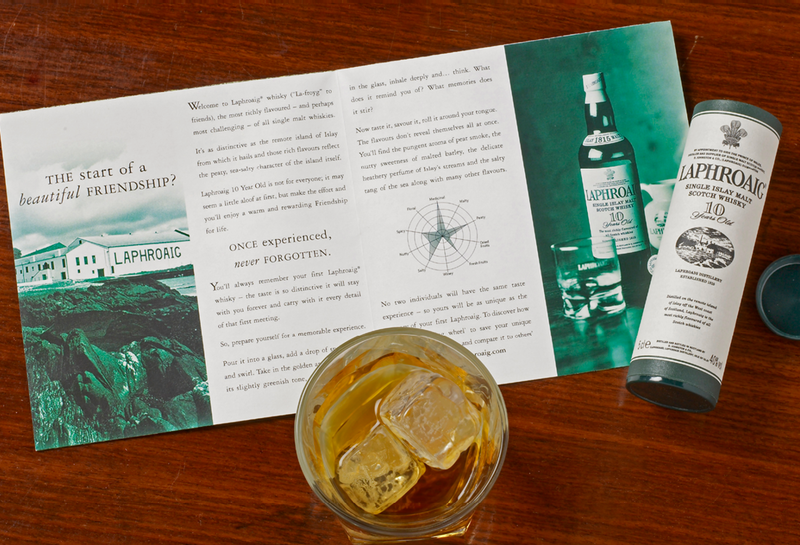 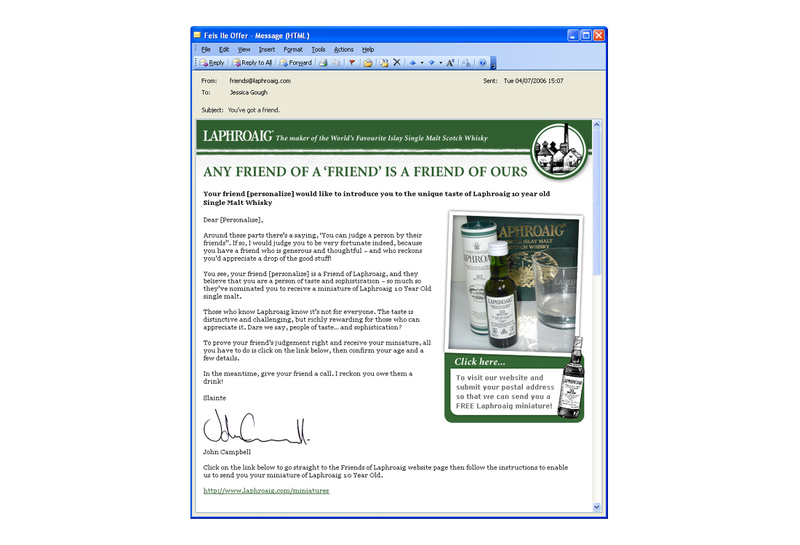 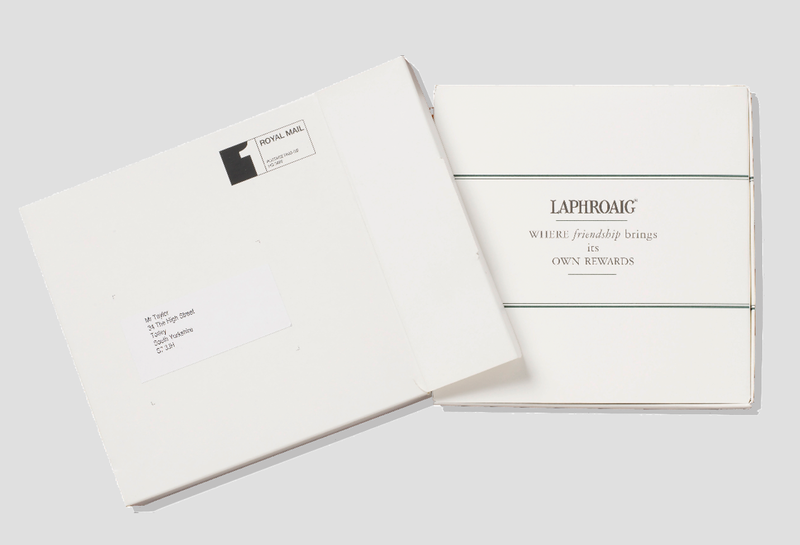 Recruit more members to the ‘Friends of Laphroaig’, the online community of Laphroaig lovers, who are each given a square foot of land at the distillery.